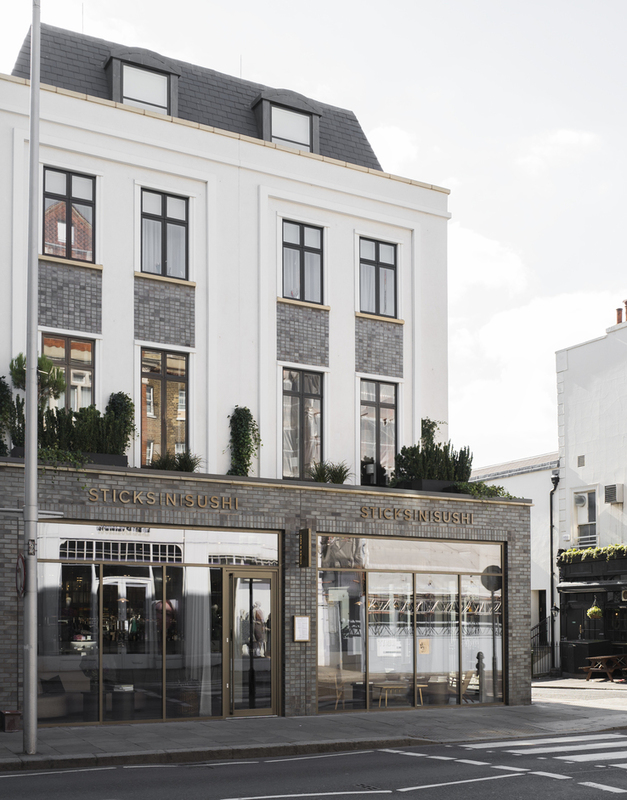 The largest Sticks'n'Sushi to open to date, the three-storey restaurant on the Kings Road has a 'restaurant-within-a-restaurant' in the private dining room downstairs. The Danish owned Japanese restaurant group first opened the original Sticks'n'Sushi site in Copenhagen in 1994. Combining Japanese and Nordic dining, the menu is a mix of freshly-crafted sushi and sizzling yakitori sticks - loaded with chicken, red meat and vegetables - served straight from the grill. This Kings Road branch, the sixth Sticks'n'Sushi restaurant in London, has a modern, minimalist design with clean angles and a stony colour palette. The focal point of the 90-cover ground floor is an open kitchen-island visible from everywhere in the room, so there's a real sense of theatre. Upstairs you'll find counter seating, low banquettes as well as larger booths and a long communal table, a familiar fixture of Sticks'n'Sushi. If you like this you can find more Sticks'n'Sushi in Wimbledon, Covent Garden, Greenwich, Canary Wharf and Victoria. Sticks'n'Sushi, Kings Road gyms, sporting activities, health & beauty and fitness. The best pubs near London Sticks'n'Sushi, Kings Road. Sticks'n'Sushi, Kings Road clubs, bars, cabaret nights, casinos and interesting nightlife. Where to have your meeting, conference, exhibition, private dining or training course near Sticks'n'Sushi, Kings Road. From cheap budget places to stay to luxury 5 star suites see our discounts for Sticks'n'Sushi, Kings Road hotels, including My Chelsea London from 75% off.